It's with much sadness that I have to inform all my readers of the passing of our CEO Mr Greg Longcob. Greg sadly suffered a heart attach on the 30th of October 2013 and was interned at Bethany's Private Cemetery after a moving service which was well attended. Greg was born on the 21st September 1951 and had just celebrated his 62nd birthday. Greg had spent most of his life at Bethany and will always be remembered as a Bethany child. 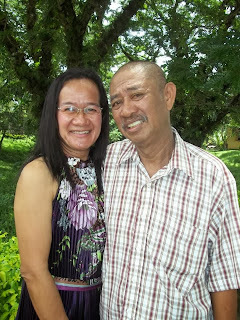 During his time as CEO he has worked tirelessly along with his wife Rose to ensure the continuation of Bethany as a facility to raise and place needy children as well as provide an education for many children in the town of Talakag and nearby barrios. This year has been traumatic having seen the passing of Rachel (Chichi) Sulatan and now Greg, I ask you all where possible to pray and assist however you can to enable the good works of Bethany to continue as your help required more than ever. UPDATE ON RACHEL (Chi Chi) SULATAN. First let me say sorry to all of my readers for not bringing my blog up to date for some time. 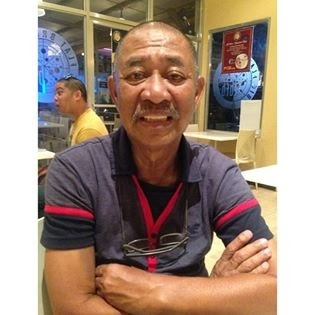 The reason for this is twofold as I have been very busy with other projects and we travelled back to the UK to visit our son and daughter in law and have only just returned to the Philippines. To all those who have shown concern about Chi Chi’s medical condition and have contacted me privately concerning the same here is an update. This morning Marilou and I visited Chi Chi at her cottage and discovered she is now confined to her bed. She finds it less painful to recline than sit up. Chi Chi as usual was wearing a brave face but when you know someone for as long as I’ve known her it’s not difficult to realise she is suffering despite her best efforts to prove otherwise. It’s at times like this I wish I had a magic wand and make her well again but I have not and can only hope and pray for her to be comfortable. Like all long time medical patients here in the Philippines it costs money for medication and it’s to this end I humbly ask you to please help in any way you can. Her medication amounts to around PHP 1,000.00 per day that’s $25.00, £15.00 or Euro 18.50. Chi Chi is having to take morphine every 8 hours in order to endure and this is using up the majority of the daily medicine spend. I just wish I was able to give you better news but it’s not within my power to do so and all I can ask is for your kind assistance in kind and in prayer. If you feel you can possibly help Chi Chi please contact me at jcjimc@aol.com and I will give you details on how to send a donation which will go direct to Chi Chi. As I mentioned previously I have informed Chi Chi of those who contacted me regarding her condition and she thanks you all for your best wishes and kind thoughts. It’s that time of the year again when our thoughts are with our loved ones past and present. Bethany has had its ups and downs this year but the struggle continues and we have somehow survived. Several of our children have recently gone overseas to be with their adoptive parents and we wish them all the best in their new homes and countries. 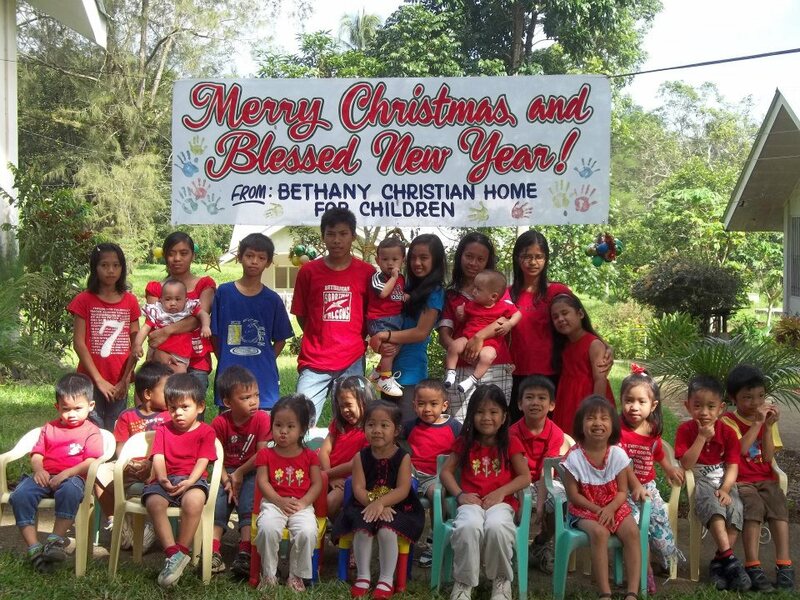 Its seeing the joy on the faces of the children with their new adoptive parents that make life all worthwhile for myself and the staff at Bethany, long may it continue. I would like to also thank all of you who have given both financially and spiritually to us here at Bethany as without your invaluable help we would not be able to continue. Once again a very big thank you to all those who have supported the children and staff and on behalf of everyone at Bethany may we wish you a joyous Christmas and a happy and prosperous New Year. It’s every member of Staffs dream at Bethany to have their wards placed in the care of loving parents, whereby they can go off to whatever part of the world and enjoy a new and fulfilling life. This week it was the turn of Angelo and his sister Criselda to do just that. Tony and Christine Fazzini travelled from their home in Adelaide, Australia to Manila to finalize the necessary paperwork and then on to Talakag to collect their new son and daughter. Tony and Christine had already been keeping me up to date regarding the progress of their adoption process and Marilou and I were excited to meet them on arrival at Bethany. Immediately on meeting Tony and Christine we knew what wonderful parents they will make for Angelo and Criselda after watching them interact with their new son and daughter. The children view a specially prepared scrapbook showing them their new home and family. As is customary before leaving Bethany the children and class mates of Angelo and Criselda held a farewell party which actually was also an early lunch. About 30 children attended the send-off as well as members of the teaching staff and after prayers the children sang a special send off song for Angelo and Criselda and Angelo sung a solo song in response. There was hardly a dry eye in the house after his rendition and watching Tony and Christine they were so proud of his effort. Greg Longcob the CEO of Bethany made a speech about how Bethany cherish people like Tony and Christine who by their love of children make the self-sacrifice of offering a loving and truly Christian home and life to our children here. 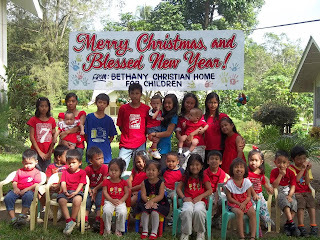 Tony responded on behalf of Christine and himself by saying that he was overwhelmed by the love that’s given to the children at Bethany despite all the hardships encountered. He went on to compare what children have in the developed world with the children he has met here and concluded that the children at Bethany were a lot happier with a lot less. Tony thanked the staff for all their hard work and dedication and promised to keep us updated with Angelo and Criselda’s progress in Australia. Mr Tony Fanzzini responds to Mr Greg Longcob's speach. Bethany would like to wish Angelo and Criselda and their older brother Jason Fazzini a happy and fruitful life in Adelaide. Once again Tony and Christine it’s been our pleasure to meet you and to know that Angelo and Criselda have wonderful and loving parents. The Fazzini family will spend a few days in Manila and leave on Sunday evening to return to Australia.